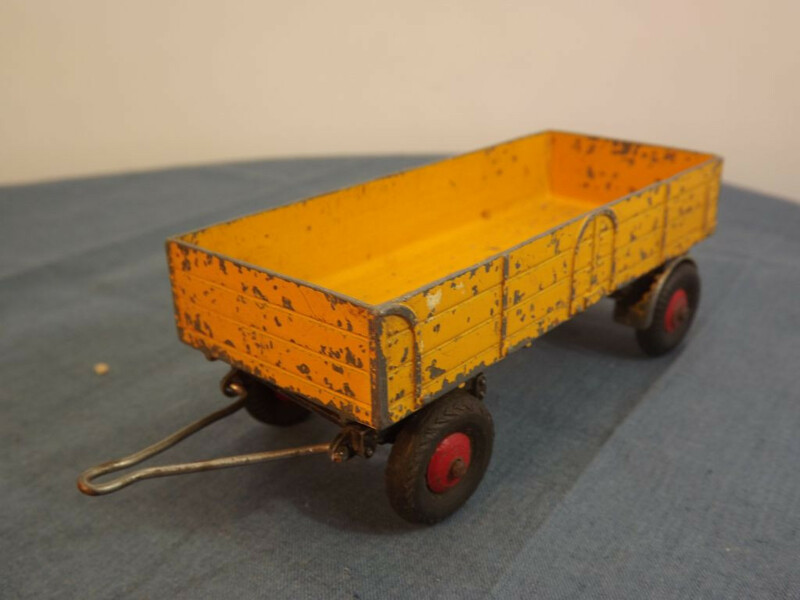 This model is the Dinky 551-G-3 Large Open Trailer in Yellow with red hubs. 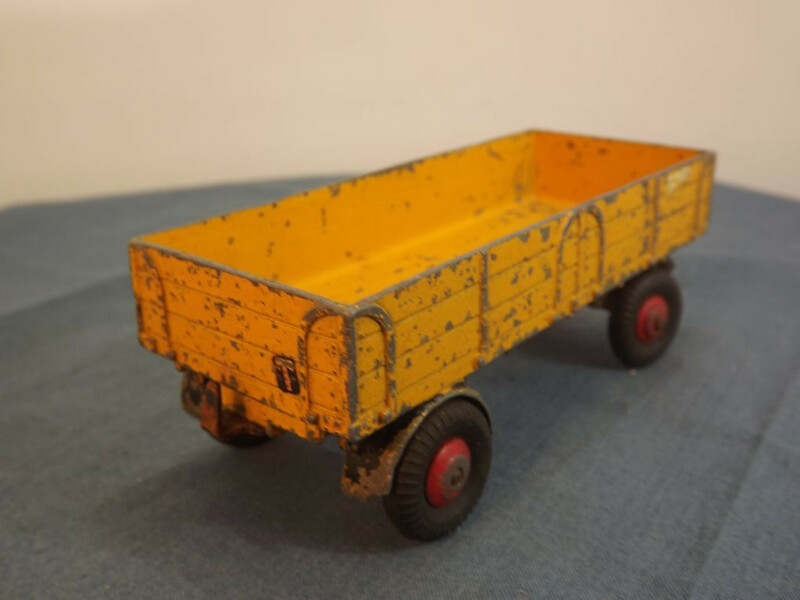 The model features a yellow cast trailer body and chassis with a separate black front axle casting. The yellow is the same yellow used for the Dinky 521 Bedford Articulated Lorry. All wheels consist of black rubber tyres on red, ridged cast metal hubs. 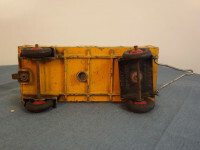 There is no spare wheel on the underside but a tinplate tow hook is attached to the rear of the trailer body. All features are cast into the body casting — rear wheel arches, "wooden" trailer sides, and trailer base. The separate front axle casting has a representation of the front suspension and has the wire tow bar attached. The base plate is actually the underside of the castings. The body is painted yellow metal with no markings and the "painting" circle (The cast circle on the bottom originally used to mount the casting for rotation spray painting) is unpainted meaning this item was painted using the old rotation method of spray painting the castings. 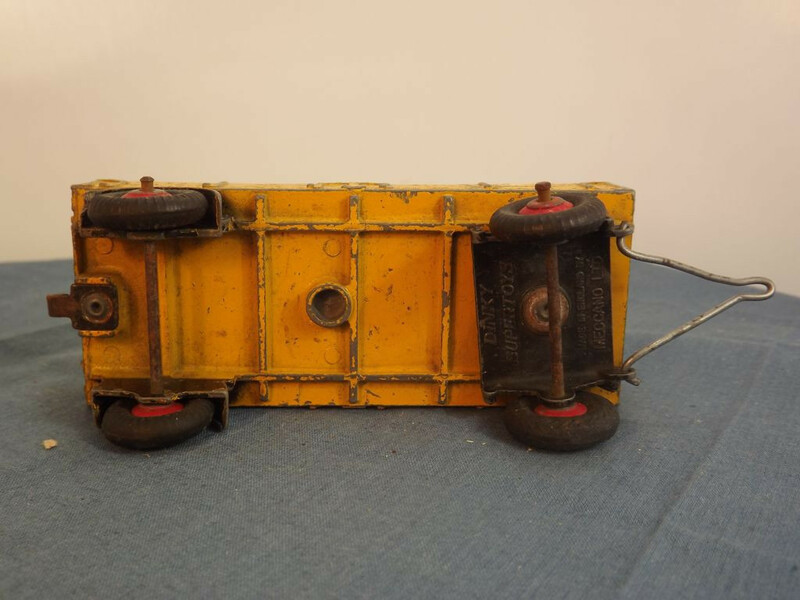 The underside of the front axle mounting is painted black metal with Dinky Supertoys towards the rear of the trailer and "Made in England By" in tiny letters on line one, followed by "Meccano Ltd" in larger lettering on line two at the front. 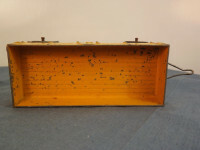 The casting also has the wire metal towing drawbar fitted to it with the ends of the wire passing through small cast holes and crimped on the outer ends. It is fixed to the body casting through the use of a machined rivet. 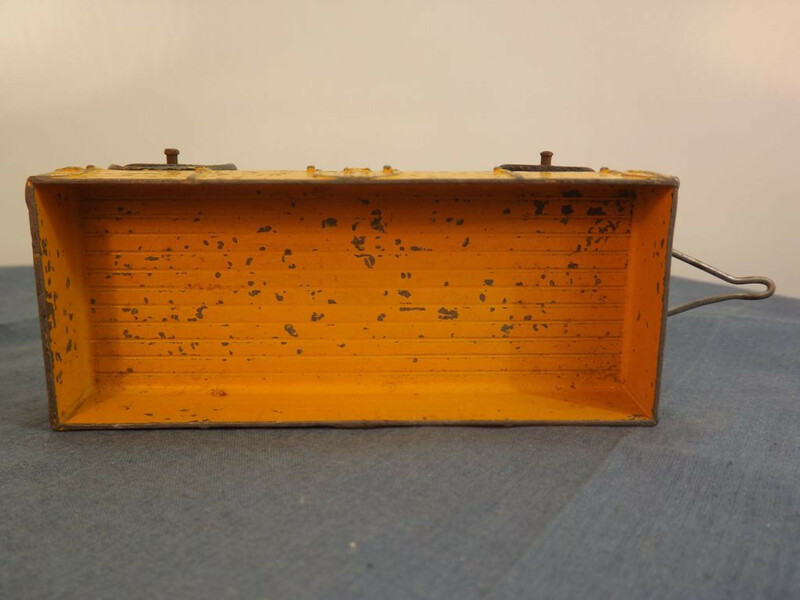 This model was possibly only issued in 1952.